Do your kids have a favorite book character? 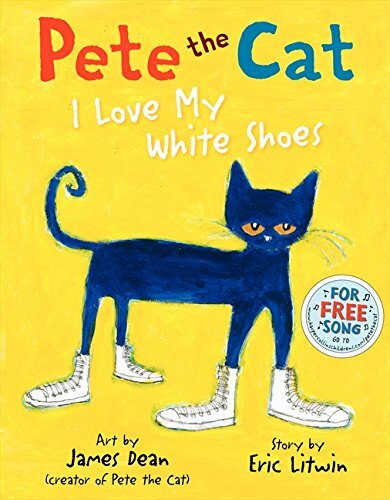 My six-year-old is pretty obsessed with Pete the Cat… it almost rivals her love for Moana. Which she still watches every.single.day. 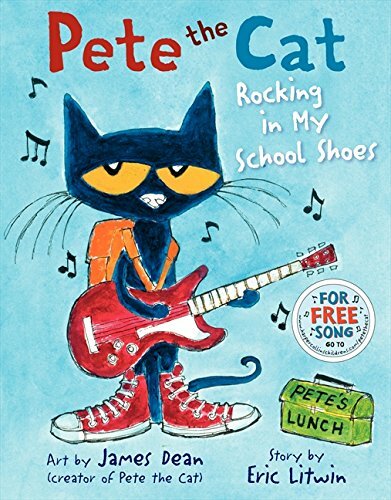 When she goes to grab a book from her shelves, you can place a bet that it will be Pete the Cat. Since she loves that silly cat so much, I’ve been creating some fun math activities to go along with them, so that we can combine our math and literacy time. 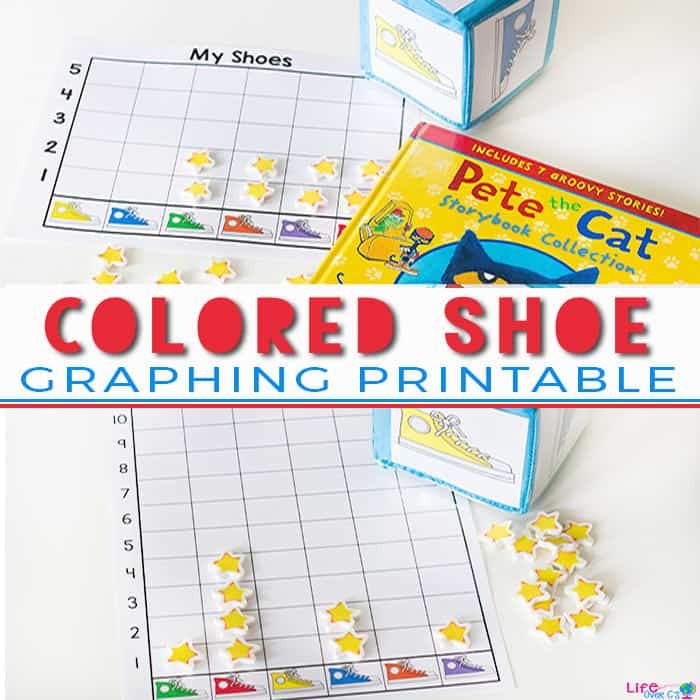 You’ll want to check out our Button Counting Grids and Cupcake Counting Grids that go perfectly with some of our favorite Pete the Cat books. 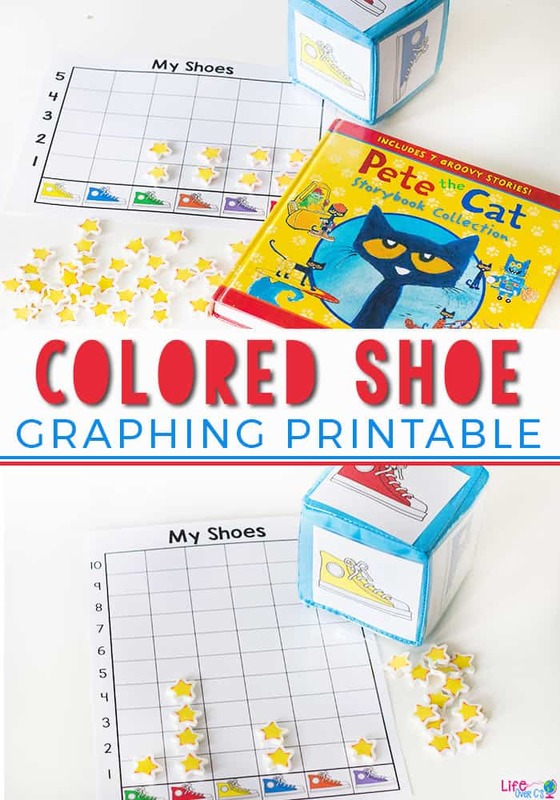 This free printable colored shoe graphing activity for preschoolers is a great addition to our Pete the Cat games! To prep: Print the graph and dice from the download at the end of this post. 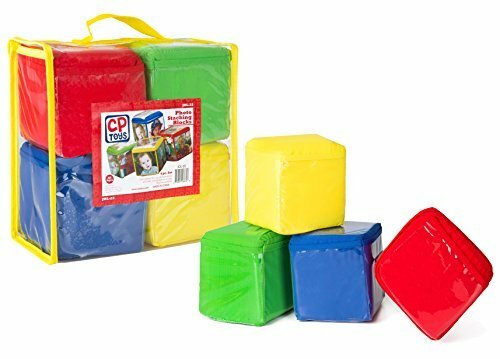 There are two options for the cube. 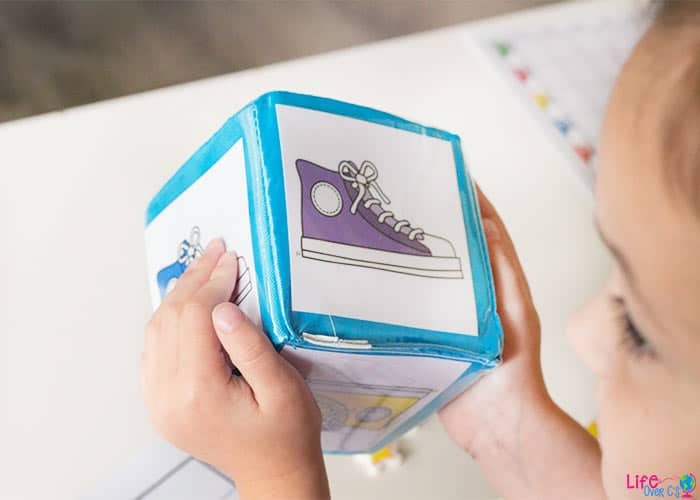 You can chose between creating your own cube (great if you don’t have the photo cubes) or using our favorite Differentiated Instruction Cube as a die. If you choose to make your own cube, fold the cube template on the inside lines and tape it into a cube. I find it helpful to put additional tape on the outside of the cube to give the dice a little bit more weight and to last longer. 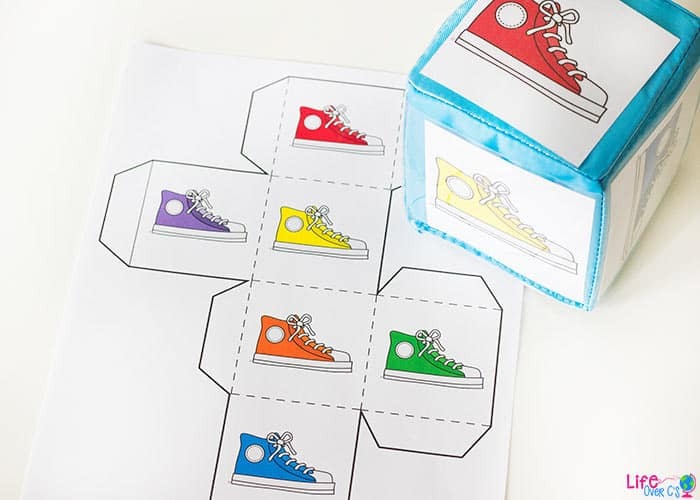 To use: Simply roll the cube and mark which animal was rolled. Continue rolling until one column reaches the top. 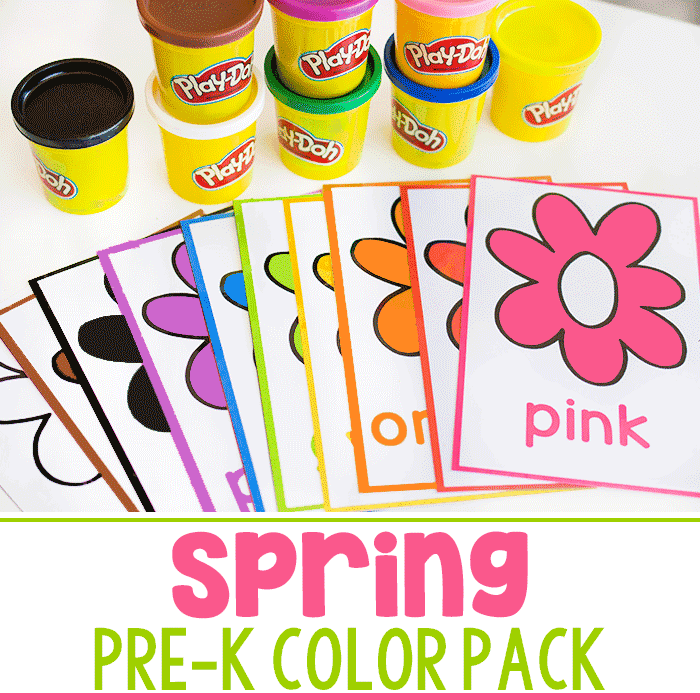 We used this graphing activity to also work on naming colors. 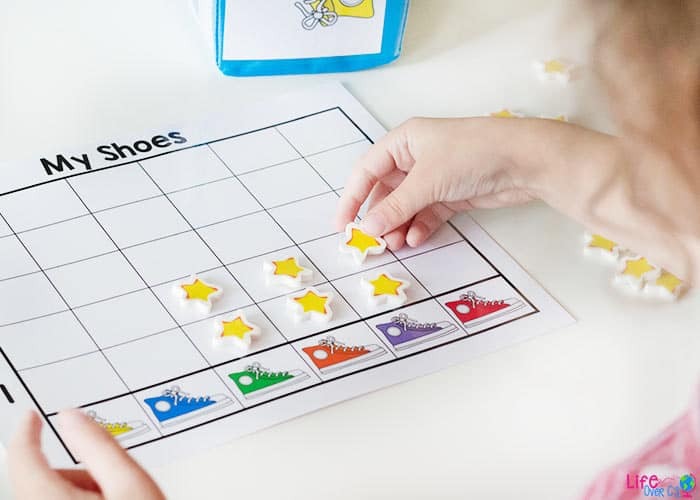 Shiloh is great at sorting and matching colors, but she is still struggling with naming the colors and activities such as this provide us lots of opportunities to name the colors as she rolls and places the graph markers. She gets tired of people asking her to say things (because it’s hard for her), so I don’t require her to repeat the color names. This is important to consider when a child has speech issues. They hear so often “repeat after me” or “p, p, purple” that they get frustrated. 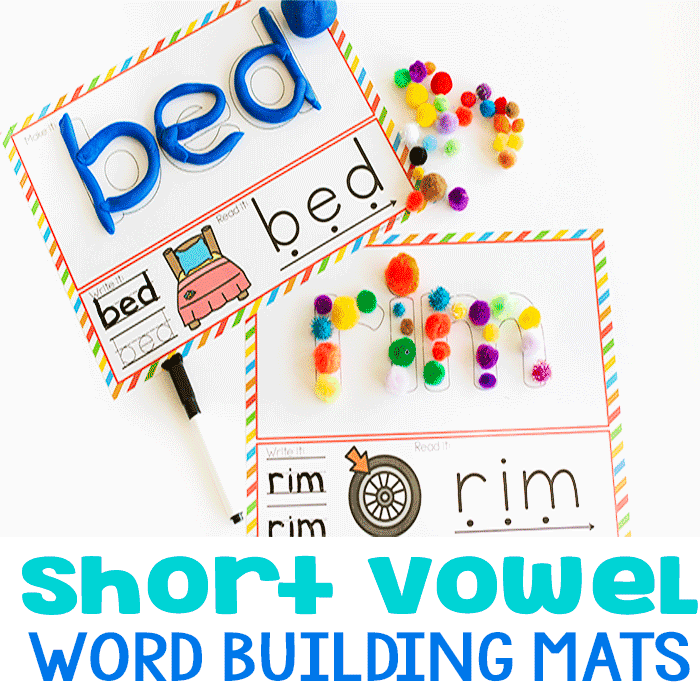 I never want to cause her frustration that would get in the way of her learning, so I am careful to model and allow her to say the words on her own. Practice counting and count each column. What animal was rolled the most? The least? Did any animals get rolled the same amount? Not at all? Then, you can write down the totals, clear the graph and do it again. Did you get the same results? Why do you think you didn’t get the same results? 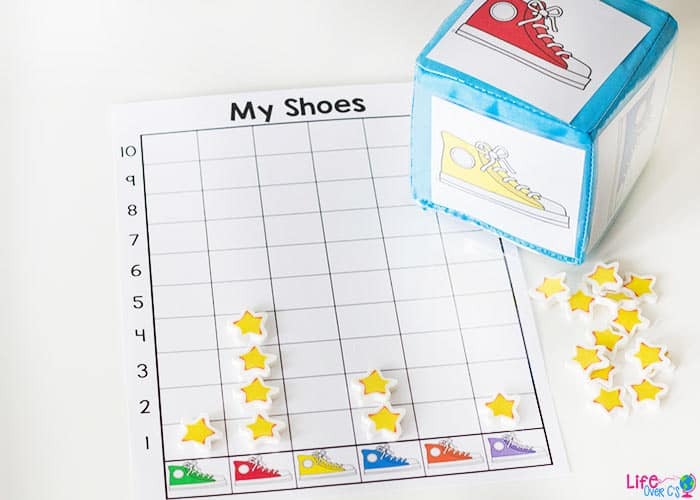 Could you enlarge the shoe pictures to fit on a pocket chart for large-group use? I’m sorry, I am unable to do custom adjustments on free items. I will keep it in mind for future projects. Awesome Pete the Cat activity! We can never go wrong with this cool cat! Thank you for this free cute black sheep counting cards. 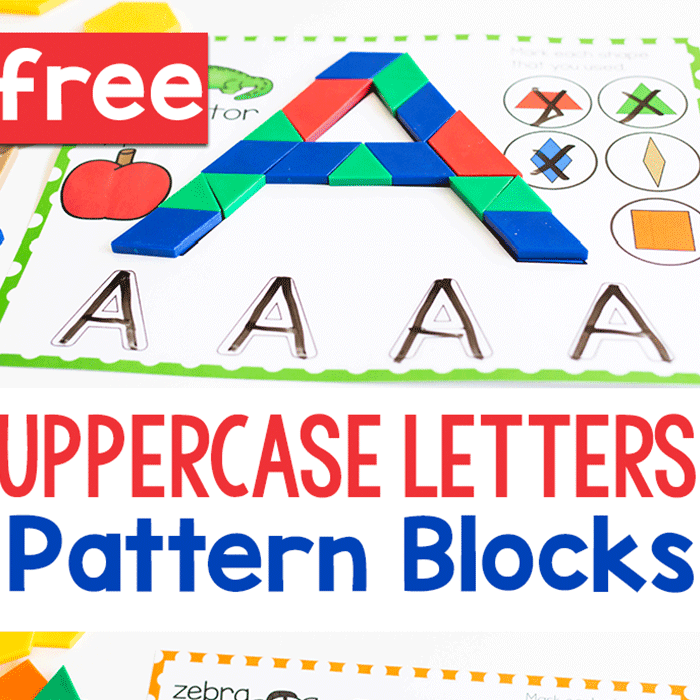 My granddaughter who is in preschool needs the extra number practice This will work well for her! I appreciate you having free activities.